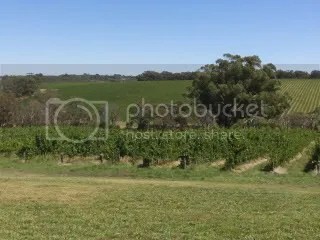 Griffin Wines are in the hills above McLaren Vale and are classified as Adelaide Hills GI. I have decided to review them as they are so close to McLaren Vale. The Griffin’s (Trevor & Val) arrived in Kuitpo in the 70’s with the aim of finding their “place”. Vines (26.5 ha) were planted in1997 with their first wine made in 2000. The Sauvignon Blanc is made by Shaw & Smith (Adelaide Hills) and the reds are made by Phil Christiansen with the rest made by various people. This wine making is not a hands off process for the family – they have a direct input into what happens with their fruit and wine. The wines are not just a reflection of the place they are grown and made but also of the Griffin family – to this end the family adorns their wine labels which have drawn international acclaim. The house is opened only a few times every year for a “Cellar Door tasting” and they also hold functions at their property. A once a year they also hold a wine dinner at Waverly House (South Terrace, Adelaide, South Australia) with live musicians and I am told lots of fun. Their Web site can be found here. This is one for the Sauvignon Blanc drinkers out there. Lots of Sauvy grassyness and passionfruit and as expected from the Adelaide Hills there is a good acid backbone. Why would you even consider the junk from across the ditch when you can this here at a relatively good price. Sorry to say this wine is showing it’s age and is one to miss – goto the 2010 wine and do not pass go! I stand by my view that Chardonnay needs some oak treatment to provide complexity that many find compelling from this classic variety. Here is an unwooded version that is pleasant but brings little complexity to the table. I found the 2008 version so much more appealing. Some toasty aromas and flavors here – maybe some small amount of oak was showing through. There is also some creaminess here so I suspect there is some malolactic fermentation action as well. Both of these mean there is complexity here and one worth checking out. Highly enjoyable earthy with cherry notes. I liked this for the good acid and multi-dimensional fruit and tannin complexity. The aromas here were more more vibrant than the 2006 with sweet cherry and floral hints. I was very interested in the tannin and acid feel on the tongue. Compared to the previous wines this was limited. The aromas were few and far between and the flavors were very short. I got sweet cherries and nice firm tannins. I suspect a few more years is needed to see this wine anywhere near it’s best. Plumy and earthy aromas combined with blackberry fruit flavors and well balanced tannins. Not my scene but for those that like this variety it would be one to check out. Showing some developed character which made me think the 2007 was better at this time. There was ribena like fruit that was somewhat one dimensional. Quite different that the McLaren Vale Shiraz wines – due to the cooler ripening environment. Funny I say that for the 2008 vintage, as it was hot everywhere. All the spice plums with tannins you would expect. Compared to the rest of the Shiraz wines below this wine is a little hot on the palate and somewhat raisiny – though neither are over them top. Intense Shiraz aromas with similar fruit sweetness (as per the above wine) and quite soft tannins. The tannin structure is so lighter than McLaren Vale Shiraz – some will like that and some will not. Which one are you? The complexity of a good vintage is shown in this wine – particularly after the previous Shiraz offerings that were from drought years. Here is spice, perfume and cigar box (from the oak) aromas. The flavors start with the plums and black fruits and show the complexity of good tannins (oak and fruit tannins) wrapped in an envelope of good acid. I suggest this wine is just showing the integration of the components and give the best indicator yet that these wine need some bottle age to show the real character of the wine. I found this wine a little developed and porty. I am no expert here, but I suspect that the old barrels used for the aging of this wine had Brett – which means some people will like it and others will be turned off. I am the latter. This wine is the response to the cleanskin request that most wineries get. In this case the thoughts were that a cleanskin wine should still be good enough to show which winery the wine has come from and so why not promote your brand. The 2007 version of “The Griff” sold out quickly and the winery is taking pre-release orders so I suspect the 2008 version will be quick to leave the winery. The wine has been good enough to win a couple of Bronze medals and even thought the aromas were minimal the flavors of plum, black fruits with dusty oak, this wine is good value. 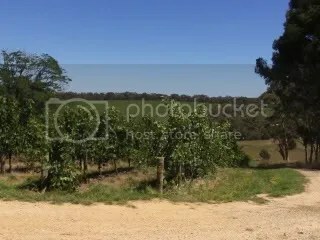 This entry was posted in Mclaren Vale, wine and tagged Adelaide Hills, Chardonnay, Merlot, Pinot noir, Sauvignon Blanc, Shiraz, Small Producer, wine. Bookmark the permalink.